In our November 2nd blog, we mentioned a couple different scenarios after the announcement of Starwood's spin-off of its Vacation Ownership division to Interval International Group. Chinese companies were interested in Starwood, which would have been the largest-ever Chinese takeover of a U.S. company, and it was rumored that Hyatt Hotels was in merger talks with Starwood. Now we find out that it is Marriott who has sealed the deal. 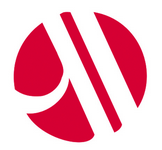 Monday’s announcement of the merger of Marriott and Starwood creates the largest hotel company - 1.1 million rooms in more than 5,500 hotels across more than 100 countries. The overall value of the deal is $12.2 billion. That's $11.9 billion in Marriott stock and $340 million in cash. Starwood investors can expect to receive $2.00 in cash for each share of stock, and 0.92 shares of Marriott priced at $72.08 per share. Friday closing stock prices showed Marriott at $72.74 and Starwood at $75.00. Current Marriott CEO, Arne Sorenson will remain president and CEO of the combined company. He commented in a quote from the Business Insider, "this is an opportunity to create value by combining the distribution and strengths of Marriott and Starwood, enhancing our competitiveness in a quickly evolving marketplace. This greater scale should offer a wider choice of brands to consumers, improve economics to owners and franchisees, increase unit growth and enhance long-term value to shareholders." Interval Leisure Group will maintain ownership of Starwood's Vacation Ownership division, which it acquired in the recent spin-off. According to Marriott management, shareholders will separately receive consideration from the spin-off of the timeshare business, which has an estimated value of $1.3 billion or about $7.80 per Starwood share. The timeshare transaction is expected to close before the Marriott-Starwood merger closes. When the spin-off of Starwood's timeshare division was first announced, a letter to owners offered assurances that things would stay the same and perhaps even offer more choices of unique vacation experiences. The letter further stated that Starwood would continue to be the exclusive provider of vacation ownership for Westin and Sheraton brands, and would provide all the features and benefits of current ownership. Access to Starwood Preferred Guest® (SPG) program, current guidelines and fees, exchange rules reservation rights and all exchange options would remain the same. Hopefully, all involved stand by their promises.